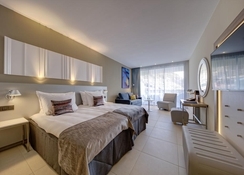 To the southwest of the island of Gran Canaria, next to the Tamadaba Natural Park, the town of Mogan is host to the Radisson Blu Resort Spa, featuring over 400 rooms and suites that stand out for their luxurious amenities that includes a private terrace with furniture. 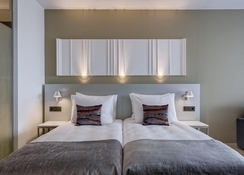 The rooms become places of rest and entertainment, with television and internet access through Wi-Fi. There is a minibar in each room. Beyond the rooms, the resort opens up to facilities where you can relax, play sports or enjoy the cuisine or a drink. 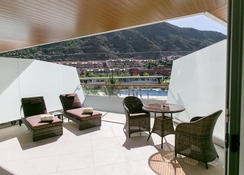 Radisson Blu Resort & Spa Gran Canaria Mogan offers three restaurants, with buffet or carte, breakfasts and thematic dinners and Italian specialties. The gym is open 24 hours; there is a climbing wall, soccer field and tennis, paddle and volleyball courts. And the spa includes hydro massage, sauna and Turkish bath, as well as treatments. The wide range of services includes parking area, indoor and outdoor, and a 24-hour reception where they meet any need of the guests. 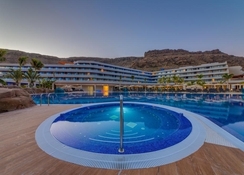 The Radisson Blu Resort & Spa Gran Canaria Mogan is located in Puerto de Mogán. The complex is only one kilometre from the town’s centre – known for its navigable channels. Near the promenade, which can be reached within 20 minutes on foot, you can also visit other attractions of the island, such as Maspalomas with its long dune beaches or the Tamadaba Natural Park. The Gran Canaria Airport is about 53km from the hotel. 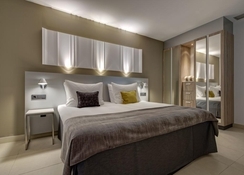 Luxury materials, in neutral colours, make up the minimalist design decoration of each of the rooms and suites at The Radisson Blu Resort & Spa Gran Canaria Mogan. Luxurious rooms that stand out for having a private terrace with furniture and views, and that can accommodate up to eight people in family suites with three bedrooms with bathrooms. Suites include a seating area and a sofa bed. As for the equipment, guests have multimedia entertainment, which include satellite television and Wi-Fi internet access. There is also a minibar, complemented by room service, and a complete bathroom with shower and bath, bathrobe, slippers and hairdryer. There are also towels available for the pool. The gastronomic offer tops the list, with three restaurants that offer buffet (including breakfast), thematic buffet menu and a menu with Italian delicacies. Additionally, the bar offers evening shows and live music. 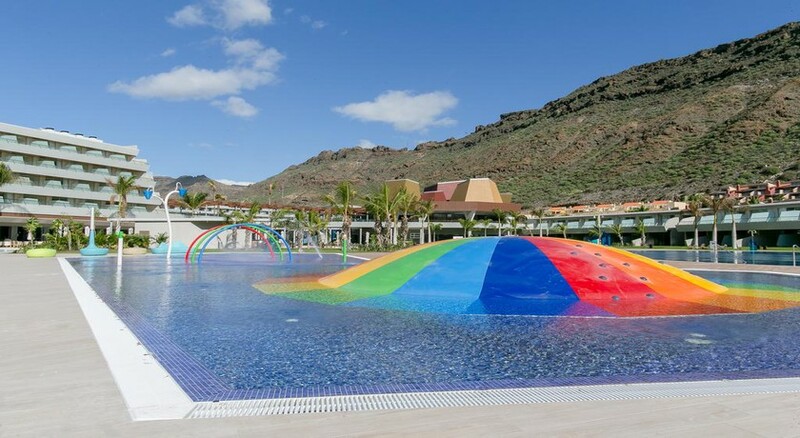 Radisson Blu Resort & Spa Gran Canaria Mogan has facilities that offer leisure and relaxation for its guests. You can relax next to the large outdoor pool, with sun loungers and a solarium, as well as a bar where you can have a good drink or cocktail. The hotel also has a football pitch, volleyball court, facilities for athletics, tennis or paddle, as well as a gym, which is open 24 hours. Activities such as Zumba, yoga and Pilates are also available at the hotel. There is also a climbing wall and the children have their own pool with jets of water. And to relax, the spa has a sauna, Turkish bath, whirlpool and a wide range of beauty treatments.